So, I told you yesterday about My Valentine for 2012. Missed that?… you can check it here. Why I love it so much you still wonder … ?! I told you some ……. but here is a little more reason. When I pulled out my salad from the glass jar in the freezer… it was as fresh as it was when I put it in there a week earlier ! 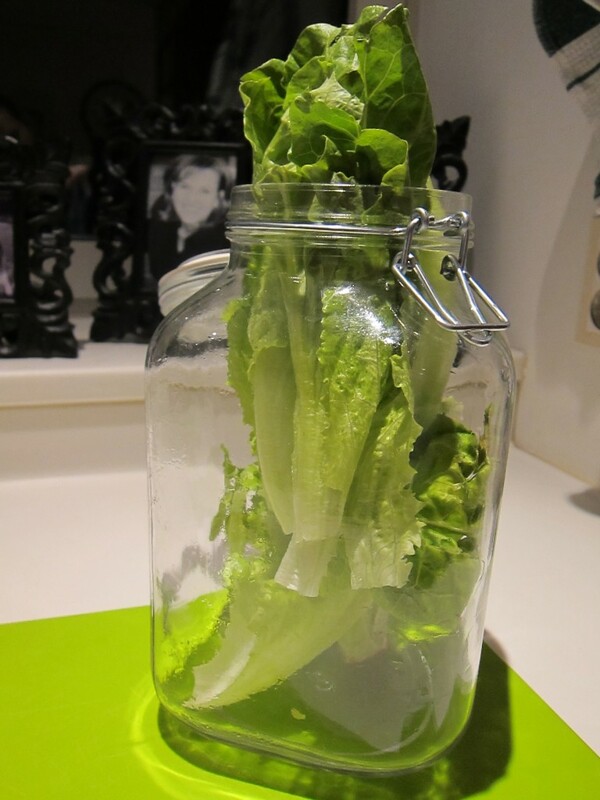 I NEVER before could manage keeping the salad fresh for more than a day – no matter which fancy trick I had up my sleeve. And where did I find this wonderful tip? I saw it on Pinterest… I pinned it down onto my Board “I’m a Foodie” and I just feel obliged to share it with you now ! For more on the how-to on this one, follow this pin and get the scoop ! ps – I do have a little confession to make….. I did not quite do the part about the vacuum sealing… I simply had put mine in the glass jar but it lasted way longer than my expectation anyway ! I hope this works for you as well as it did for me…. the BEST FIND EVER !! I need more jars now!